My 12-year-old son is pretty brilliant. Not “going to college at age 14” brilliant, but “an IQ of over 130 and reading at a post-graduate level” kind of brilliant. He gets it from his mother. Consistent with this trait is his love for reading, especially fiction, and more particularly fantasy and historical biography. It can be challenging to have a conversation with him about what he’s reading because the genres are a little obscure to most, and he’s read the books so frequently and deeply that he talks about the stories like they are his friends. I suppose they are. Nonetheless, I continue to praise him for his passion to read great literature because reading is a virtuous thing, and the things he reads encourage him to become virtuous. 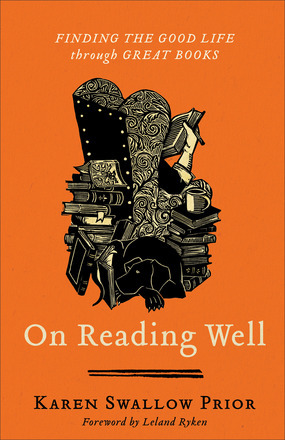 This is one of the primary reasons Karen Swallow Prior has written On Reading Well: Finding the Good Life through Great Books. She espouses, “Reading well is, in itself, an act of virtue, or excellence, and it is also a habit that cultivates more virtue in return” (page 15). Of course, reading literature is not the only way to accomplish this, but Prior believes that “literature has a particular power in forming our visions of the good life” (page 27). After reading On Reading Well, I believe her. In fact, I’m arguably a better human being for reading Prior’s book, and I believe you will be, too. Prior framed the chapters the same way. While some might find this structural monotony laborious, I found it to be a helpful framework that gave me confidence as I moved into each chapter. She begins with a story illustrating the virtue within the context of real life, either from her personal life, the life of a friend, or from the world at large. It serves as an effective hook for all kinds of readers, segueing nicely into a short section in which the virtue is clearly defined and illustrated. From there, Prior steps quickly into the work of literature where she masterfully enters into a conversation with the reader about both the literary work and the virtue on display. The great care to which Prior explains, illustrates, and applies the virtues reflects many of them of which she writes. Indeed, only a person in pursuit of great literature and great virtues could write a book about the virtues in great literature, and Prior is clearly such a person. Kindness isn’t mere niceness. Although “kind” and “nice” are nearly synonymous now, the history of both words shows a once-sharp difference that is still helpful to consider today. “Nice” comes from a Latin word that means “unknowing” or “ignorant” and in Middle English came to mean “senseless” or “foolish.” … In its etymology, “kind” means something radically different from mere agreeableness. Indeed, “kind,” rightly understood, can include all sorts of disagreeableness. “Kind” comes from the same root word from which we get the word “kin.” To be kind, then, is to treat someone like family. … If kindness means treating someone like family, then kindness must include all the varieties of ways that family members show love for one another through the entire range of circumstances, conditions, and situations they find themselves in. … Niceness has no inherent link to truth. Indeed, being connected etymologically to ignorance, niceness might have no connection to truth at all. Even the current sense of “nice” —agreeable or pleasant—can be at odds with the truth. The truth is often not pleasant or agreeable. … The virtue of kindness simply cannot be separated from truth (pages 207, 209). Secondly, Prior’s vulnerability is particularly powerful. For example, it is one thing to learn about kindness from a work of literature through a teacher who understands what is at work in the story, but it is another for the teacher to share her own struggles to grow in that virtue as well. For example, when the character Don Eber in George Saunders’ “Tenth of December” realizes how he robbed himself and his family members of the many acts of kindness by committing suicide, Prior pauses to reflect on how the passage pierces her every time she reads it because she, too, is so terribly afraid of dying and the process of death. Further, a suicide in her family was eerily similar to that which nearly occurs in Saunders’ story. Prior’s susceptibility about such things is effective at forcing the reader to apply the virtues, not simply consider them (pages 218-219). To be sure, On Reading Well is not for everyone. I would not strictly classify it as academic, but it is far from casual reading. People who have often wondered why they should read literature will be inspired to do so. Lovers of literature, moral philosophy, and ethics will soak up the book with joy and enthusiasm. Yet those unfamiliar with the fields must practice the virtues of diligence and patience to read the book. But this is as it should be. “The attentiveness necessary for deep reading requires patience. The skills of interpretation and evaluation require prudence. Even the simple decision to set aside time to read in a world rife with so many other choices competing for our attention requires a kind of temperance” (page 15). Whoever chooses to read it will be a better person for it, which makes reading On Reading Well a virtuous enterprise in and of itself. Rob is a Christ-follower, husband, and father of four living in Nashville, TN. 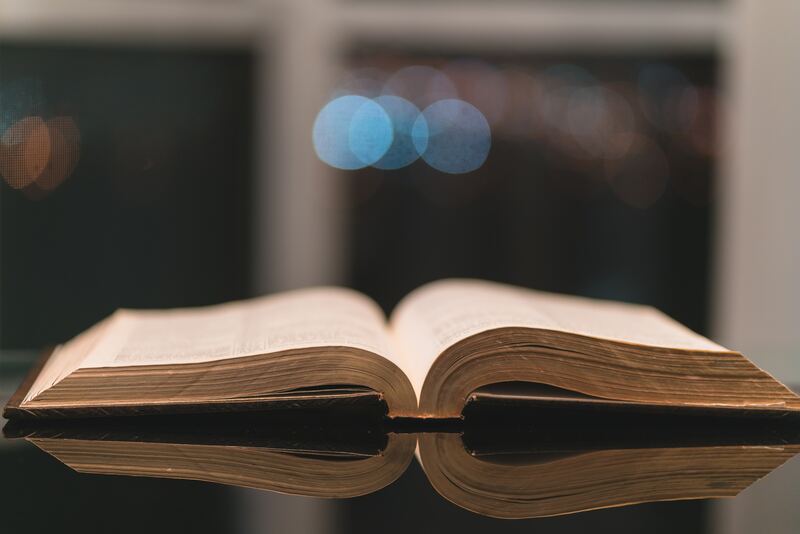 With more than 20 years of ministry experience in the local church, Rob currently manages the editorial team at Lifeway Christian Resources that provides trustworthy, customized Bible studies for individual churches through personal relationships and smallgroup.com. He also is an Associate Professor for Liberty University Online, a researcher, and enjoys preaching and teaching in various venues throughout the year. His first book, Southern Fried Faith: Confusing Christ and Culture in the Bible Belt is available exclusively on Amazon for Kindle or in print.